Many hunters consider their retrievers to be "polished" if the dog sits, stays, retrieves marked singles and won't run off. However, retrievers of every breed have so much potential. This book condenses Tom's 40-plus years of dog training into a concise, easy-to-follow guide that helps you unlock the magic within your retriever. Working at your own pace, and with vivid visual instructions, you'll learn how to teach your dog honoring, multiple marked retrieves, blind retrieves over land and water, and much more. Arguable America's best-known retriever trainer, Tom as four-plus decades of experience turning retrievers into successful hunt-test competitors, field-trail participants and great hunting companions. He operates Dokken's Oak Ridge Kennels in Northfield, Minn., which is also one of the country's largest all-breed hunting dog training facilities. He also creates the popular Dokken's Dreadfowl Trainer dummy, which is designed to teach dogs the proper hold on game birds. 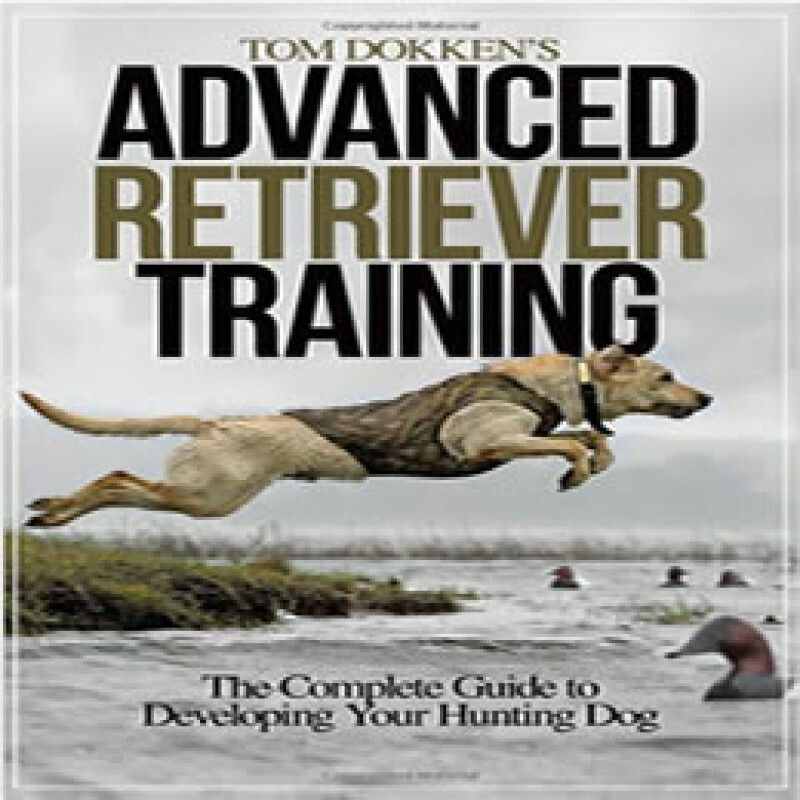 Brand: Dokken Dog Supply Inc.
Tom Dokken's Retriever Training - Paperback BookRetrievers are the most popular dog breed in America..
Tom Dokken's Puppy Retriever Training DVDTrain yourself to train your dog with this easy to us.. The Dokken's Dead Fowl Greenwing Teal Trainer is ideal for stopping dogs from viciously shaking game..
Blue Goose Deadfowl TrainerDead Fowl Trainer Internal Scent System (available separately):To i..
Every Man's Gun Dog By Dave Fowler - DVDTraining The Simple Way by the late Dave Fowler A focus..
Acme double dog whistle 640 Sound Sample ..
Acme double dog whistle no 641 Sound Sample ..